A beautiful abstract Tighe Breaker XL by Brian Tighe. 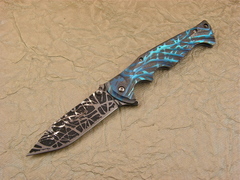 The blade is made of BG-42 Steel and Titanium frames. 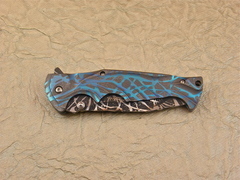 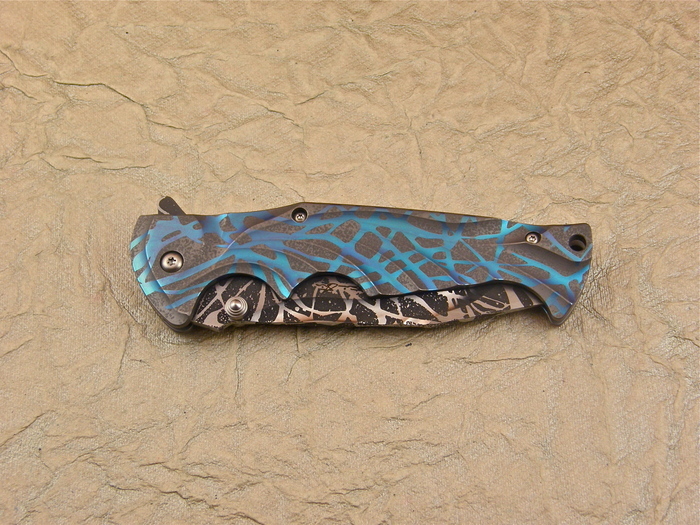 A very cool looking knife!